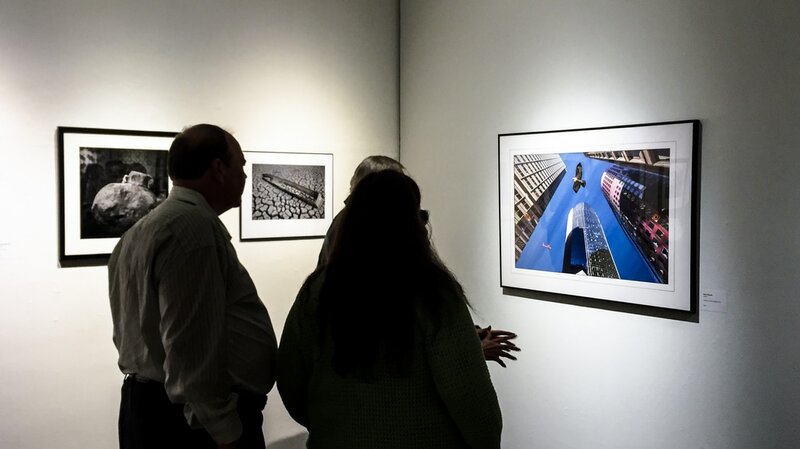 ABOVE: Museum visitors examine one of Dave's images, "Looking Up, Looking Down" at the opening of New Visions 2017, an exhibition at the San Luis Obispo Museum of Art. The image won an Honorable Mention, one of 8 prizes awarded by guest curator George Lepp. GREYSCALE WONDERLAND at bG Gallery in Santa Monica, CA. ​ MONOCHROME at Las Lagunas Gallery in Laguna Beach, CA. Group show; 24 artists. ​ MAGICAL REALISM at Arts Benicia in Benicia, CA. Group show; 46 pieces from 36 artists. Dave's framed prints, greeting cards, and post cards are sold in many retail stores in the Bay Area and elsewhere in California.